Alberta Street has a unique mix of retail, entertainment, and dining experiences within a strong community making it a sought after place to open a business. The neighborhood, business community, and trending data all assert that there is great business opportunity for Alberta Street going forward. If you are thinking about opening a business on Alberta Street, we invite you to learn more about the needs and opportunities and how Alberta Street compares to other parts of Portland. Business Oregon networks with many organizations to help entrepreneurs find resources and access services to start a business in Oregon. Micro Enterprise Services of Oregon seeks to improve the economic opportunities of underserved individuals through empowerment, education, and entrepreneurship for the benefit of families in the greater community. Oregon Small Business Development Centers (SBDCs) are partnerships between government and community colleges throughout Oregon. They are administered by the Small Business Administration and aim to provide educational services for small business owners and aspiring entrepreneurs. Mercy Corps NW provides business programs and resources through micro-loans, matched business grants, and small business classes taught by business professionals. They also support entrepreneurs with one-on-one business counseling. Mercy Corps Northwest is the only SBA Women’s Business Center in Oregon, providing funding, matched savings, and other resources to help female entrepreneurs become self-sufficient. The Board of County Commissioners are committed to fostering a thriving business climate in Multnomah County. The Small Business Administration Portland district office is responsible for the delivery of the agency programs and services to 30 of the 36 western counties in Oregon and 4 counties in Southwestern Washington. The Multnomah County Supported Employment Program connects young people (ages 17-27) with well-matched employment opportunities. You can avoid expensive advertising by contacting Multnomah County Supported Employment to gain access to a pool of motivated applicants who can start work immediately. They screen and interview all applicants in advance to provide you with the best match and only send qualified applicants who can meet the needs of the position. The program provides ongoing support and training. To learn more, contact Tosha Bock, Supported Employment Specialist, 971.804.1243. The Work Opportunity Tax Credit (WOTC) is a Federal tax credit available to employers who hire individuals from eligible target groups with significant barriers to employment. Each year, employers claim over $1 billion in tax credits under the WOTC program. The success and growth of this income tax credit for business is beneficial for all who participate, while increasing America’s economic growth and productivity. WOTC reduces an employer’s cost of doing business, requires little paperwork, and can reduce an employer’s federal income tax liability by as much as $9,600 per employee hired. The Work Experience for Youth (WEX-Y) Program is a youth (ages 16-24) employment program that connects local youth with rewarding job experience. WEX-Y provides a single point of contact for you and takes care of payroll processing, taxes, and insurance. While it may sound too good to be true – it’s not! 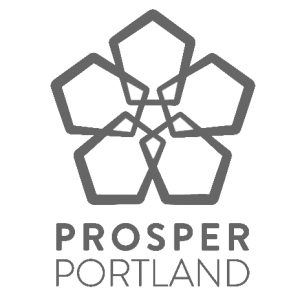 The Small Business Development Program (SBDP) is an initiative of the Portland Development Commission and the City of Portland that aims to grow and strengthen existing small businesses through technical assistance and training. Micro Enterprise Services of Oregon seeks to improve the economic opportunities of under-served individuals through empowerment, education, and entrepreneurship for the benefit of families in the greater community. An experienced and dedicated staff provides a minimum of three years of support, ranging from business planning, goal implementation, marketing, consulting, and financing. To learn more about MESO, contact meso@mesopdx.org or (503) 841-3351. The Portland Development Commission connects people and resources to create jobs, support business growth and revitalize neighborhoods. Guided by the city’s Economic Development Strategy, the agency focuses on explicit investments in the fundamentals of economic development: business expansion and retention, workforce training, innovation, catalytic projects and an ecosystem that nurtures entrepreneurs and small businesses. They work with businesses, property owners and non-profits to identify needs and eligibility for assistance, and then find the program that fits best. The Commercial Property Redevelopment Loan (CPRL) Program assists private partners with redevelopment, new development and tenant improvements that encourage property revitalization and wealth creation. Community Livability Grants are offered for real property improvements at new or existing community facilities, in open spaces, or to preserve historic or cultural community assets with the intent of benefiting the broader community. The Development Opportunity Services (DOS) Program assists property owners (and, in some cases, tenants) in evaluating a potential project’s feasibility by providing real estate development expertise and technical assistance. The Green Features Grant assists businesses in making sustainable improvements and in adopting sustainable practices. The Storefront Improvement Program provides cash grants and technical assistance to business and property owners in eligible neighborhoods. Recipients can use the support for a variety of improvements, from repainting and signage to purchase of new windows and awnings. Provide ongoing upkeep and remove tags as soon as they appear. Control access with hostile vegetation, barriers, and lighting. Move dumpsters and cover drainpipes to prevent climbing. Paint a mural on a chronically tagged wall (if you are interested in placing a mural on your building, please let us know – we may be able to help! Report it before you remove it! Photograph the graffiti and notify the police & the graffiti abatement office. Color match paint & surfaces. Patchwork walls encourage new graffiti. Paint with MetroPaint recycled paint, which costs up to 50% less. Call 503-234-3000 or click here. If you are a building owner, contact the owner of the news rack(s) and request that the news rack(s) be removed from the sidewalk adjacent to your building. If you are a business owner, contact the building owner and request that the news rack(s) be removed from the sidewalk adjacent to your building. Here is a list of common publications you can contact to request removal of unwanted news racks. With many thanks to a grant from the Portland Main Street program, Alberta Main Street was able to commission local artist, Ivan McClean to design and install 19 garbage and recycling containers along NE Alberta Street. The holes in the top of the cans are designed for redeemable bottles and cans.Many thanks to Cloudburst Recycling for providing in-kind service!